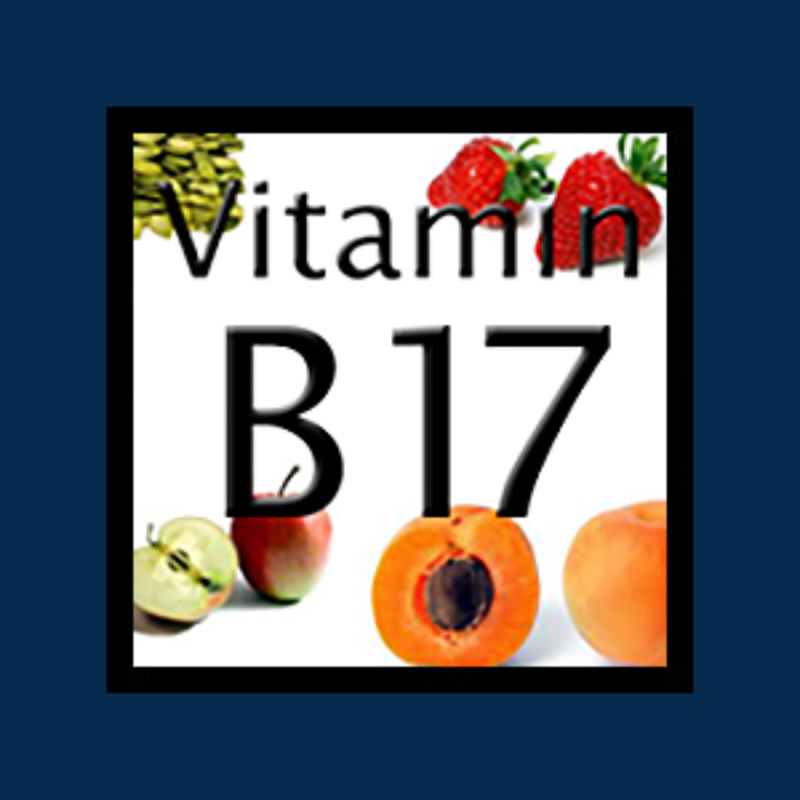 Vitamin B17, also known as laetrile or amygdalin, was coined by Dr. Ernest T. Krebs as the “antineoplastic Vitamin” due to its anticancer properties. The difference between laetrile and amygdalin is simple. If you were to eat apricot seeds then you would be ingesting amygdalin. Whereas laetrile is a water-soluble compound containing amygdalin that is distributed in tablet form. More specifically, it is a compound known as a nitriloside, which is a water-soluble, essentially non-toxic, a sugary compound found in over eight hundred plants, many of which are edible. However, for the purposes of this website, the compound will be referred to as Vitamin B17 or laetrile. Vitamin B17 is well known by those outside the limitations of conventional medicine for the treatment and prevention of cancer, and for strengthening the immune system. Laetrile is banned by the FDA, but it is not technically illegal. There are online resources that sell both laetrile and/or apricot seeds. So, as far as commenting on dosages for Vitamin B17 with regard to cancer, lets put it this way— “If” Vitamin B17 “Could”, “then” it would be for prevention and/or treatment of cancer. Used therapeutically, laetrile is typically used either intravenously (1 – 9 grams) or orally (100 – 500 mg 2 – 4 times per day). However, for cancer prevention, the recommended dosage is 50 – 200 mg of laetrile per day taken orally. Many doctors who use laetrile recommend taking it on an empty stomach. It appears that the enzyme rhodanese acts to neutralize the cyanide molecule, as does our own acidic stomach acids, making it all the safer. Most advocates of apricot seeds recommend no more than thirty seeds per day. Remember that amygdalin (found in high amounts in these seeds) is a component of laetrile. Each apricot seed contains about 4 – 5 mg of amygdalin, although it can vary slightly. It would take roughly thirty apricot seeds to equal around 120 to 150 mg.
Other advocates recommend eating only the amount of seeds that are naturally contained within the apricot itself. In other words, if you eat the whole apricot (fruit and seeds), and if that particular apricot contains six seeds, then only eat the six seeds. Remember the phrase “more isn’t always better”? This applies here. If you choose not to eat the entire fruit, then a good rule of thumb is to eat half the number of seeds that you would have consumed if you had eaten the entire fruit. Important Note: Apricot seeds should always be eaten with caution. Even though you can purchase a bag of them online, NEVER eat the entire bag in one sitting. The seeds are bitter and need to be chewed completely. Many people grind them and mix the ground seeds with fruit juice. Although Vitamin B17 is a relatively safe nutrient to take therapeutically, there are precautions. Remember, too much water at one time can have fatal effects on the human body, just as one to two cups of coffee is a pleasure, but ten cups in one day could have horrific effects on the nervous system. If any of these symptoms occur, simply decrease the next dose. It appears that while taking laetrile or consuming apricot seeds, it is helpful to add sulfur-containing amino acids such as cysteine and methionine to help detoxify any remaining cyanide to non-toxic thiosulfate. It is also important to drink plenty of water. Important Note: If symptoms continue or become severe, seek medical help immediately! Despite the fear that these side effects may bring on, the occurrence is extremely rare if common sense is used. Always be responsible and take in moderation. And there you have it! An example of the bias of the scientific model of evidence-based medicine at its best! NO to Dangerous Apricot Seeds: Yes to Safer Chemotherapy! Illicit Vitamin B17: No Profits, No Cure for Cancer! Can Vitamin B12 Be TOXIC?